Along with having a passion for miniatures, Camille Minichino has published more than 20 novels, as well as short stories and articles. A new series, the Post Office Mysteries, is underway and will launch in the summer of 2015. Camille writes under several pen names. Learn more about all of them and her books at her website. 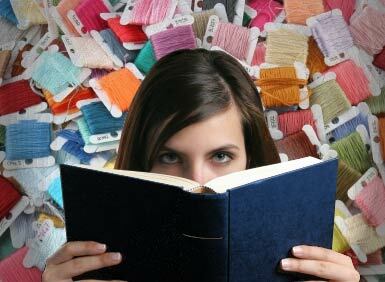 Mixing crafts and fiction writing has been my way of life for a while. In the Periodic Table Mysteries, my first series, Gloria Lamerino moves back to Revere, Massachusetts after 30 years in California and takes an apartment above her friends' funeral home. Of course I had to build the home. Below is a photo of the embalming room in the basement. In my upcoming fourth series, my character, Cassie Miller, is a postmaster in a small town. Of course I had to build a post office. The creative flow goes both ways—my writing inspires miniature scenes, and the scenes then take on a life of their own and inspire my writing. 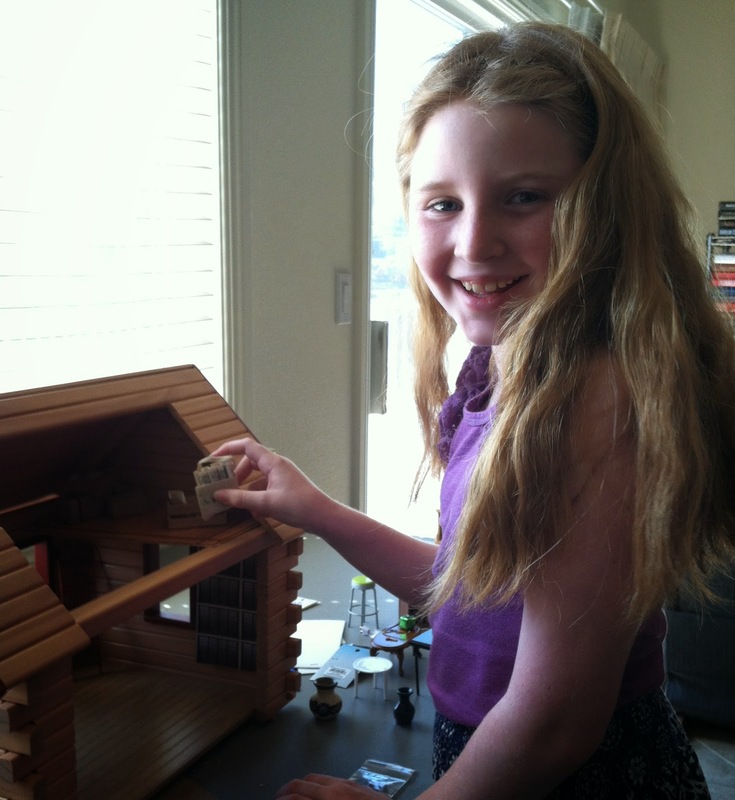 There was a special thrill in building the post office: I enlisted the help of the 10-year-old daughter of a friend of mine, author Diana Orgain (The Maternal Instinct Mysteries and others). Carmen made the money in the cash register, chose the furniture from my stock of leftovers, and contributed a great deal to the whole scene. I love working with the next generation of crafters. Especially with dollhouses and miniatures, it seems, most of the artisans I see at shows are at least my age—not a good thing! The organizations I belong to do their best to encourage youngsters through special workshops for children. Throughout the year, miniaturists (including me) send supplies and scraps for the children's workshops. 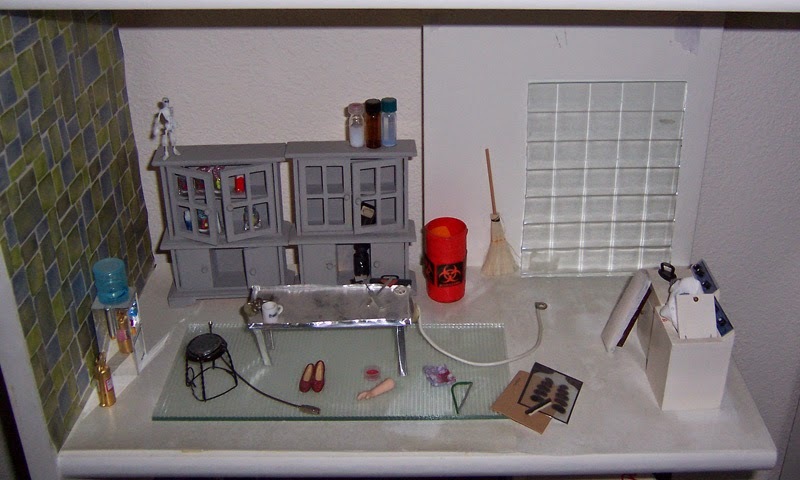 We contribute paint, paper, glue, brushes, doll parts, material for bases, and miniature "anythings." It's a great way to control my own inventory as well as spur on young crafters. I'd love to know what other crafters are doing to attract the next generation. The grand opening of a giant chain crafts store is both good and bad news for miniaturist Gerry Porter. But when the big event is accompanied by an earthquake and a murder in the store, there's plenty of opportunity for Gerry and her computer-gifted granddaughter Maddie to help the police investigate. 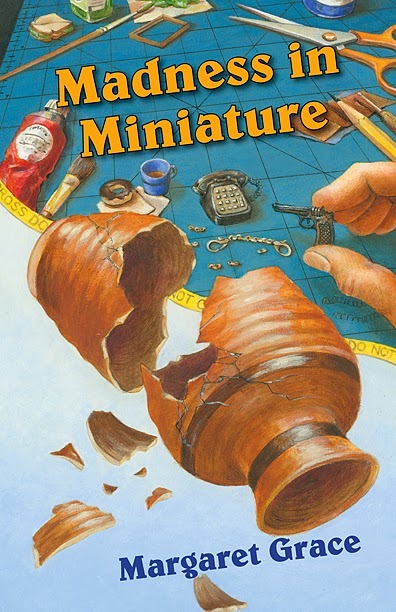 Madness in Miniature is the 7th Miniature Mystery by Camille Minichino, writing as Margaret Grace. Today we sit down to interview noir mystery author C. M. Albrecht. Learn more about C.M. and his books at his website. I love to read, especially a good mystery, and after becoming disabled and sitting at home, I decided to give it a try. I found a publisher for The Little Mornings in 2002 and have written another novel every year since. The latest, a dark suspense novel, The Deputy, is just getting into the editing process and should appear within a few months. My publisher is an independent "small" house, but we get along great and to me that's more important than being a small cog in a big company. A spare bedroom is my office. Personally I like it quiet when I'm in my little office. I love music, but only when I'm actually listening to it. I don't like music droning in the background. I suppose I could say I take everything from real life. As a former investigator, over the years I've learned a great deal about human behavior and motivation. Any occasion can be a 'What if?' Even the most mundane incident might make a great story if only…what? My books are not autobiographical, but I'm flattered when someone says: "Come on, nobody could make that stuff up!" Sometimes I search telephone directories, street maps and occasionally I hear a name that interests me and jot it down for future reference. Generally I use real towns with real streets and places. I've read so many good books I just can't pick one above the others. I'm sure I could improve everything I write, but a person has to stop someplace and let go. If I were stranded on a desert isle, I'd have to have coffee, a stack of mystery novels and more coffee. I try to write a little every day. Dr. Ezra Morgenstern is a prominent, very wealthy physician. In addition to his successful practice he has three abortion clinics and of course these bring a lot of attention and heat to him. Pickets not only harass his clinics but recently they've learned where he lives and are picketing his home. When he and his wife are shot to death , there are plenty of suspects, but there's an old law-enforcement saying: 'Before you look for the outlaws, look at the in-laws. Goldie Berman, the Morgenstern's daughter, inherits everything and the police know, many parents have been murdered by their children. They're looking very closely at Goldie. 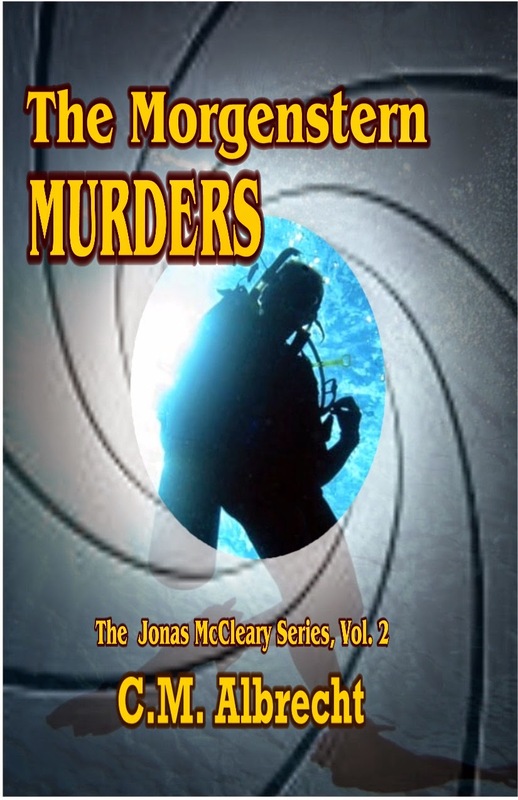 Goldie hires private eye Jonas McCleary not only to clear her name, but to find the killer(s). Before Jonas wends his way through this labyrinth of suspects, weird characters and life-threatening danger to arrive at the solution of this mystery, he'll learn to follow his gritty mother's advice: "You have to learn to think outside the box." The other day DeeDee Drayden, the owner of the Main Street Bridal Shop, stopped by our offices for an interview with fashion editor Tessa Lisbon, but Tessa being Tessa, she never showed up for work that day. Since Cloris had some free time, she was pressed into service, even though she knows next to nothing about fashion—bridal or otherwise. DeeDee is the creation of E. Ayers, an author who writes stories about people who live in today’s world and find real love. Learn more about her and her books at her website and blog. Cloris: Welcome, DeeDee. I’m Cloris McWerther. I’ll be filling in for Tessa today. DeeDee: Hi, Cloris, it’s so nice to meet you. Cloris: It’s wonderful to have you here. June must be a hectic time of year for you. DeeDee: It’s been more than a little busy at Main Street Bridal Salon, especially with two books having been released back-to-back. And as you know, June is considered the month for brides, but weddings take place year round, and although we are still filling orders for summer brides, I’ve already turned my attention to winter designs and next year’s fashion show in New York. About a month before that show, it gets so hectic that I’m a complete ball of frantic nerves. Cloris: Oh, I can imagine! I don’t know how you do it. But, please, tell me what’s hot in bridal gowns? DeeDee: (giggle) Who says it has to be a gown? Pants are in style, soft and flowing often with a jacketed top that gives the illusion of a skirt. And color, lots of color! White is almost passé. 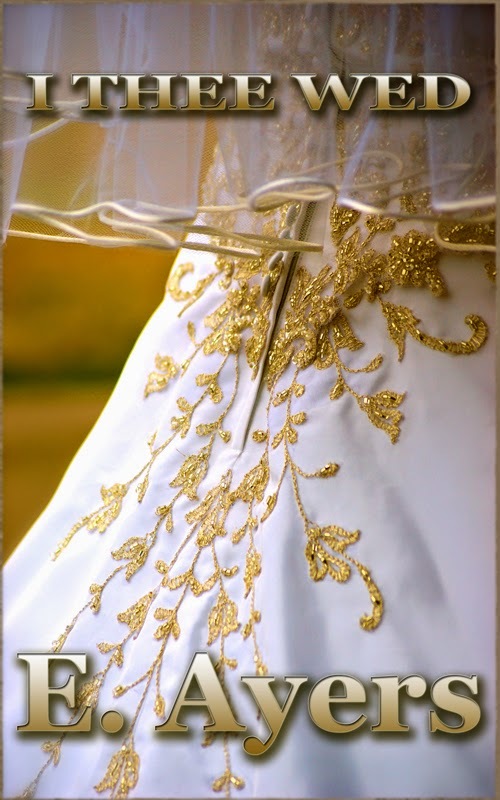 DeeDee: Yes, from hints of color in the gown to colored embroidery, the traditional white gown is getting a makeover. Besides, not every woman looks good in pure white or even wants to wear it. And bridal gowns can be in any color, including a very elegant black. Shoes and accessories…anything goes! Today’s brides are looking for color. Weddings are changing. Many young people are turning away from the formal wedding in favor of something more fun and upbeat. They want their bridal dress to reflect that. But we’re also seeing many brides having the big wedding for their second marriage and lots of anniversary brides. Cloris: Do you mean those renewing their wedding vows? DeeDee: (nodding) Many were originally wed at the courthouse or it was merely a quiet affair. Twenty-five or even fifty years later, they are having the wedding that they never had. I have to admit I get dewy-eyed thinking about those renewals. I so hope Cody and I make it to the big five-O. Cloris: You’ll have me in tears. That has to be really special. Speaking of Cody… I don’t want to give anything away, but I know you two recently married. Can you tell me about your dress? 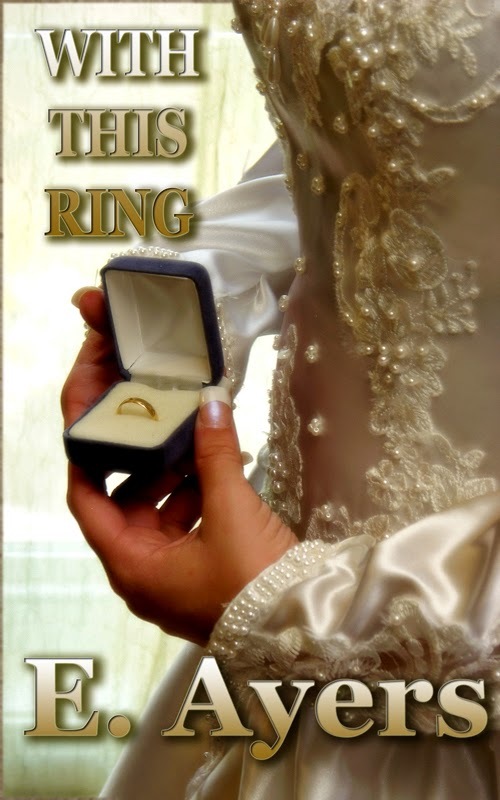 DeeDee: Actually, you can see part of my gown on the cover of the book With This Ring (above). It was a Renaissance design done in an antique white with tiny inset panels of mossy blue-green. The beaded-brocade bodice fit like a glove. It was just low enough to show a little cleavage without being revealing and it had long sleeves that cascaded in two tiers. The bodice came to a point in the front and then went up over my hips. My train attached at the back of my shoulders and I had a pearl crown with a silk veil that draped over my face and down my back. DeeDee: It was. Every woman wants to look her very best for her wedding. Style and fit are so important. Don’t make the mistake of figuring you can lose weight and fit into a smaller dress. Err on the side of generous. Dresses can be taken in, but letting them out is almost impossible. Cloris: What are you working on for Christmas weddings? DeeDee: Plum! It’s actually called Radiant Orchid and it was selected as the color of the year. And it’s beautiful when mixed with silver or gold. In fact, it can be mixed with so many different colors. It’s one of those colors that tends to look good on most everyone. Expect to see it show up everywhere this fall and paired with navy, gray, and creams. Cloris: It sounds lovely. We actually had a blog about Radiant Orchid a few months ago. I know you have to get back to your shop, so one last question. What made you decide to build your own bridal business? DeeDee: Several things. From the time I was a little girl, I wanted to be a fashion designer. I used to take scraps of material and sew them together for my dolls. I went to school for design, worked for several well-known fashion designers, and then one day it hit me that I was in the wrong place. I couldn’t wear what I was designing, and I didn’t want to wear it! But I also knew I loved to design beautiful dresses. Bridal gowns are the ultimate for most women. It’s like dressing for the Oscars on a personal level. There was more than a year of preplanning before I quit my job and even then I still panicked. 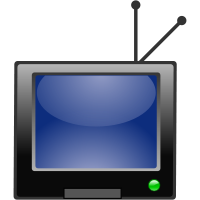 I watched real estate ads for ages until I could find something that I thought would work and that I could afford. That turned out to be the old building on the corner, 400 Main Street. Even after I bought it, I still wasn’t prepared for everything. At least now, I have Cody to worry about the money. That frees me to design. Cloris: Well, I think everyone loves weddings and so far there are two wedding books, With This Ring, a novel, and I Thee Wed, a novella. Thank you so much for coming and bringing your covers with you. DeeDee: Thank you for having me. 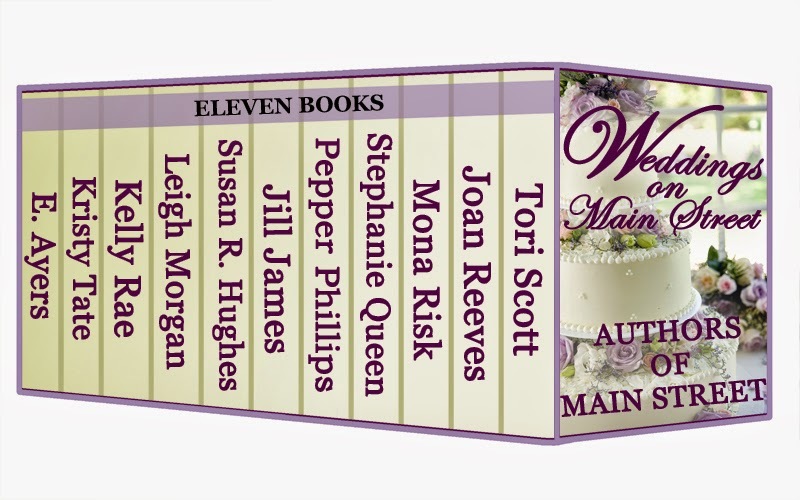 I hope everyone grabs a copy of my story, With This Ring, and inside the boxed set Weddings onMain Street by the Authors of Main Street is I Thee Wed. It’s a super deal eleven new, complete books, no teasers – plus it’s on sale for 99 cents. I know the authors, a super bunch of women and really great writers. They are always in Elizabeth’s coffee shop on Main Street. And I know that there will be more wedding books from E. Ayers. (Covers her mouth and whispers) I think there’s a Christmas wedding book in the works. DeeDee Drayden doesn’t believe in a happily ever after, even though her passion is designing wedding gowns. Cody Montgomery, heir to a fortune, is hiding in a small town raising seven children after two failed marriages. With his hands full, he’s sworn off women. But when Cody ends up being a silent partner and CFO of DeeDee’s fledgling bridal business, his eyes are on more than the bottom line. Do they dare mix business with pleasure to find their own happily ever after? A product of broken marriages, Julia never sees marriage for herself. She throws everything she's got into her career with Main Street Bridal Salon, until a crazy redhead with freckles named Aaron sweeps her off her feet. But a family secret is about to change everything. 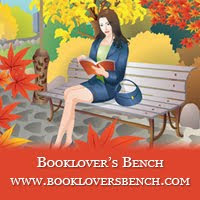 Gloria Alden is the author of a gardening mystery series—The Catherine Jewell Mystery Series. She’s also published numerous short stories. Learn more about Gloria and her books at her website and blog. When I offered to be a guest blogger, I mentioned I’m into gardening rather than crafts, and Lois assured me we could consider it outdoor decorating. However, I got to thinking that although I don’t do what is considered crafting anymore, I have done so for years. In my twenties I learned to crochet. I made doilies–remember those? And I made afghans and gave most of them away as gifts. There was a time I did cross stitch, but not very long at that. Then in my early thirties I got an oil painting art kit with my S&H Green Stamps. It came in a wooden box complete with oil paints, several canvases and brushes. It took me a year before I had the courage to actually put something on that stark white canvas, and no, it was not paint by numbers. My first picture was of our cat. I imagine that picture is somewhere up in the barn now. But once I started painting, I was totally hooked and often worked until 2:00 a.m., working on a painting in the laundry room where I’d set up my easel and paints. 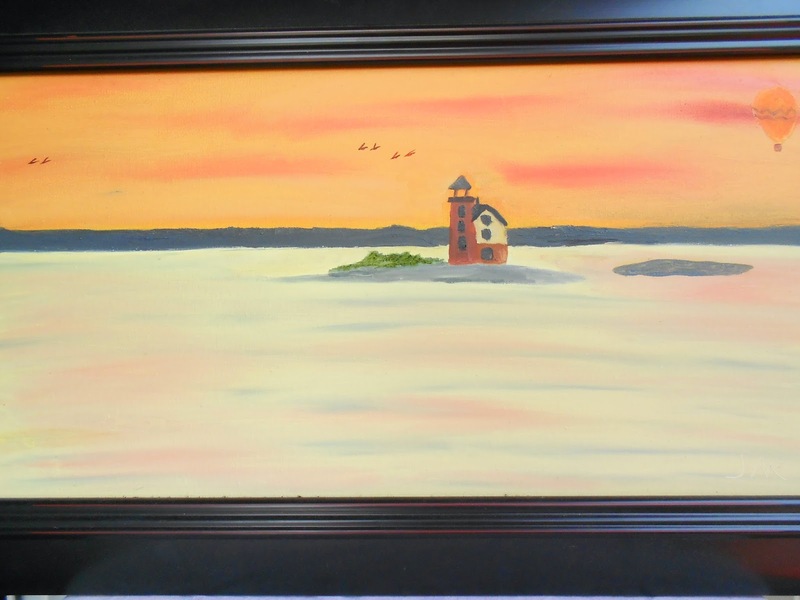 Soon I started taking art lessons and then to art shows and started selling my paintings. Also, a friend and I opened a small craft shop before the big ones became popular. We sold things we’d made plus craft supplies. It was in an out of the way place with not enough customers to cover the rent, so it didn’t last long. A neighbor and I discussed starting a craft business that did parties in the home like a Tupperware party, but with crafts we made. Before we could proceed with that idea, my oldest son was diagnosed with cancer in the early spring of his senior year in high school. He was eighteen. While I was with him through his treatments at the Cleveland Clinic or doctor appointments, I worked on needlework of one kind or another. Between his chemo bouts when he was feeling well enough to go places with his friends, I worked on making other crafts—stuffed animals, wreathes, and many other things, as well as my paintings. John died in early October at home in my arms. I spent much of my time either outside walking or caring for my critters, or in my basement sewing or painting or working on other crafts. My neighbor and I started our first in-the-home craft show about a month after John’s death. Whether it was pity, or not, I sold a lot of items, and we booked more parties. Eventually, my neighbor dropped out because she didn’t have as many things to sell as I did, and hers weren’t selling well. Over the next five years I booked 85 home parties. I filled up the back of a pickup truck with boxes of the things I made. Much of what I earned helped pay my way through college. I soon stopped the craft shows after I graduated and got a teaching job. From that time on, most of my creativity was spent on teaching third grade instead of crafts and painting. Now my creative side comes through in my writings—books, short stories and poetry, as well as in my gardening—two passions of mine. I wrote a lot of poetry in college, and about five years before I retired from teaching. 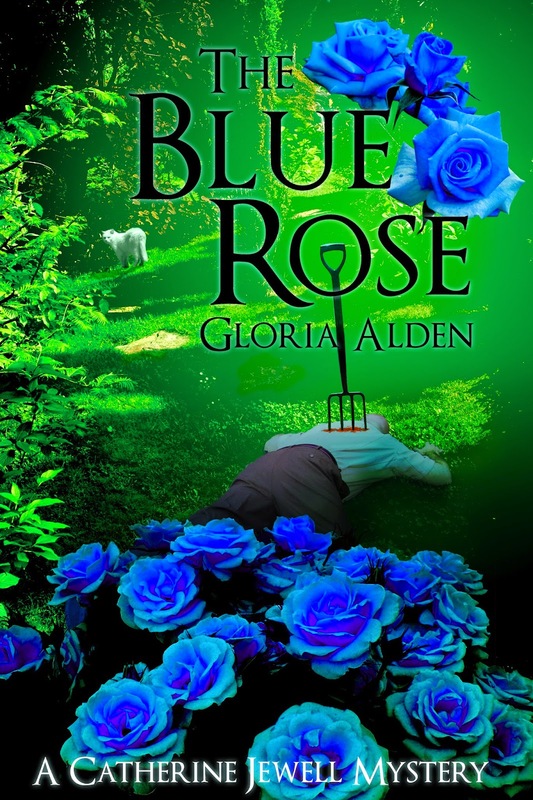 I started writing my first mystery, The Blue Rose, which has a gardening theme, of course. It’s gone through numerous revisions and editing. I have written two more in that series, plus a middle-grade mystery, The Sherlock Holmes Detective Club, based on a year’s long writing activity I did with my students. I still write poetry, and I’ve written more than twenty short stories. As for my gardening, remember that blank canvas that so intimidated me? When my ex had a mid-life crises after thirty-one years of marriage, and on a beginning teacher’s salary, I couldn’t afford to buy him out, I bought an old house in horrible shape with twenty acres and a barn because I needed a place of my own for my two horses, my youngest daughter, and me. Only my mother found something positive to say about it. Others tried to find encouraging words and couldn’t for a house with a leaking roof, two basement walls collapsing, and an inside that I can’t begin to describe. My twenty-six year old son and I gutted the house with the help of family and friends so he could rewire with up-to-date wiring. I hired someone to replace the roof, and this awesome son of mine put in new drywalls and helped me turn it into a comfortable place. But I was the one in charge of the non-existent gardens except for some old lilac bushes, one old rose, a few peonies and an incredible amount of weeds. So here I was with a blank canvas, so to speak, and no one, absolutely no one, to say I couldn’t put in as many gardens as I wanted or plant as many trees, shrubs or rose bushes or daylilies as I wanted to plant. I’ve been a gardener more or less most of my life, but nothing on this scale. Because visiting gardens on camping vacations is something I’ve always done over the years, especially with my sisters, I had many, many, many ideas. There is only one major problem with visiting gardens like Monticello—Jefferson had slaves, and I have only myself with the occasional someone hired for heavy work or a long-suffering sometimes but not always patient son, and a few grandsons before they grew up. I have one sixteen-year-old grandson right now, who is good for the occasional odd job, but other than that, I dig, plant, weed, mow and sort of maintain, more or less, about an acre or so of lawn and gardens. The rest is a large pond, woods or mowed by my son or daughter-in-law who live next door beyond my barn and pasture. I love my place. I love my morning walks in the woods with Maggie, my collie, my outside critters—two ponies, six hens and an old guinea fowl—my gardens as weedy as they are that still have many blooms in all seasons except for winter, and my home filled with books and plants. In The Blue Rose, Catherine Jewell, part-time botanist for Elmwood Gardens and owner of a small garden center, Roses and Thyme, discovers the body of Augustus Chatterton, at the reception he’s hosting for his introduction of the first true blue rose. Not many people like him, and many wonder how this man who doesn’t seem to do any gardening could have propagated the rose. Catherine finds herself trying to find out who his murderer is since John MacDougal, the local police chief, has never dealt with murder before and is focusing on her co-workers and friends. There are plenty of suspects and interesting characters, and another murder, but working together as well as having some close calls with death, Catherine and John solve the murders with a slight love interest developing. Today we’re joined by Kaye Spencer who shares a recipe for Meat and Potato Pasty and a bit about A Permanent Woman, her latest romance which is part of the Lassoing a Mail-Order Bride anthology. Learn more about Kaye and her books at her website. In my story, Simon Driscoll needs a wife so he can get custody of his grandchildren. Tessa Morris needs a fresh start and a new reputation. Desperate men — and women — sometimes take desperate measures...but can she be A Permanent Woman? This excerpt from A Permanent Woman is from Simon and Tessa’s first meeting. A fiery flush rose up Simon’s neck, and his button-up shirt collar felt like it was strangling him. She was a fine looking woman—creamy smooth skin with a rosy complexion and bright intelligent eyes. Her hat, perched just so on top of the curls pinned up on her head, accentuated her neat, tailored and expensive traveling outfit, which hugged a good figure. He jerked back to his senses. Damn it to hell, he’d no business entertaining bedroom thoughts about a woman. And a total stranger at that. It wasn’t part of the arrangement; besides, it not being a fitting topic to broach with a lady. A man could get himself into all sorts of trouble thinking of a woman the way he was thinking of her. “—waste any more time with formalities? I concur, so I’ll move right on. I admire your determination to assume responsibility for your grandchildren. And please accept my condolences for the loss of your son and daughter-in-law. Such a needless tragedy. With your wife gone but these four years, you’ve had more than your share of troubles.” She clucked her tongue in sympathy and rested her hand upon his knee as if it were the most natural thing to do. Simon mumbled his thanks, his hands sweating and his mouth as dry as cotton. “Let’s get to the heart of the issue, shall we?” She sat back, giving space between them, and Simon exhaled in relief. “As you can see from my appearance, I have a sturdy and healthy constitution. I am of good moral character, although you’ll have to take my word on it, as I am willing to trust you. I’ve lived most of my life in a quaint little lakeshore town I’m sure you’ve never heard of.” She gestured in a generally easterly direction. So, on that food note, here is a hand-me-down family recipe for a meat and potato pasty that came to me via my maternal grandmother who brought it with her when she and my grandfather moved to Fort Morgan, Colorado from Lamoni, Iowa by way of Oral, South Dakota in 1922. For filling, mix meat, potatoes, onion, salt, and pepper together. Spoon mixture into each pasty bowl, filling until 3/4 full. Top each mixture with approximately 1 Tablespoon butter. Place the top crust over the bottom crust. For crust, sift flour once, measure, add 1/2 teaspoon salt, sift again. Cut in shortening until pieces are size of small peas. Add ice water, a small amount at a time, and mix with fork just enough to make flour hold together. Continue mixing until it is neither sticky nor crumbly. 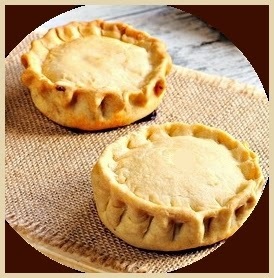 Divide dough into pieces according to the size and number of pastys you want to make. Keep in mind you need one bottom crust and one top crust per pasty. Roll the pieces out onto a floured surface. Place one piece of rolled-out dough in container that holds up the sides, fill with meat and potato mixture. Brush a film of beaten egg around the edges of the bottom and top crust so the edges stick together. Place top crust over bottom crust and crimp them closed. Remove pasty from the bowl and place on baking sheet to bake. Repeat for other pastys, leaving space between each on baking sheet. Brush top crusts with beaten egg. Bake at 350 degrees 45 minutes to an hour until crusts are golden brown. 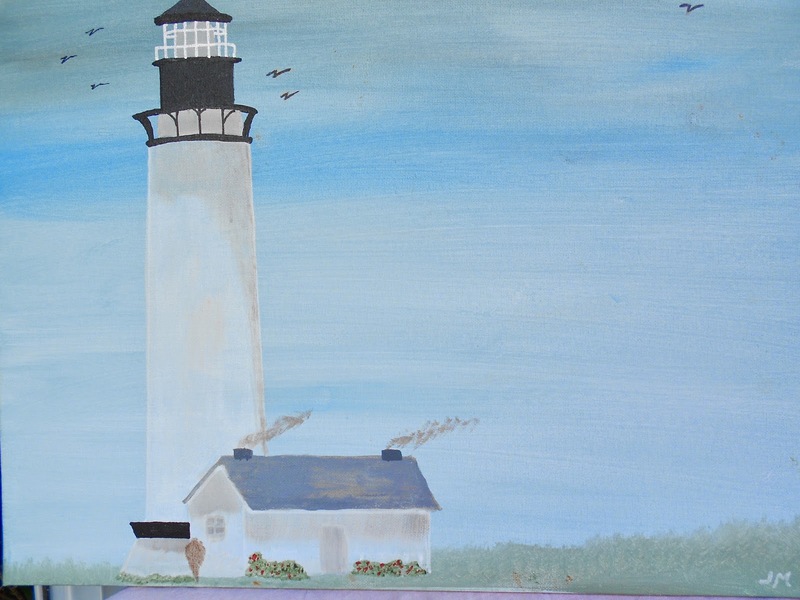 Jo Anne Myers is both an author and an artist. 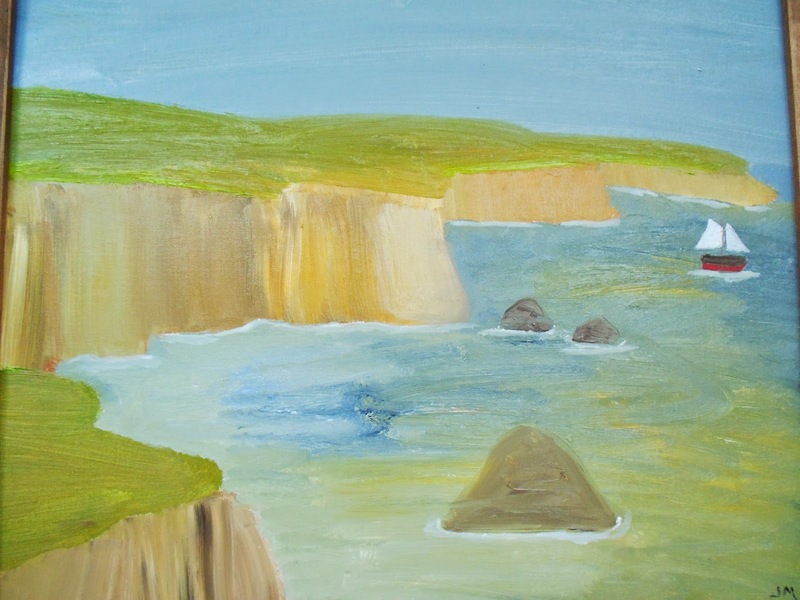 Learn more about Jo Anne, her art, and her books at her website. For as long as I can remember, I have had an artistic flare—whether that be for writing, painting, sewing or drawing. I recall as a child how much I enjoyed drawing. The writing came later. My seventh grade English teacher was Mrs. Henderson—a young mother and wife. She gave us a writing assignment and after gifting me with an A+ told me I should consider writing as a career. She meant as a journalist. I did not take her advice and become a journalist (one of my many misgivings.) My mind went toward other things as many young girls dream of—a husband, home, and family of my own. I put my love for writing and painting on hold for years. I unfortunately married a man who like my mother never encouraged me to be artistic. It was not until my children were grown and I no longer had a husband that I went back to my first love-art. I got a late start, but always encouraged my children and others to partake of artistic endeavors. I now have seven books under contract with three publishing houses. So my words to you all, is that no matter what road you choose, never forget your passion, and always keep it close to heart. Don’t let anyone or anything stop you from enjoying your natural talents. You might need to put art on a temporary hold, but never, ever give up. After the mysterious disappearance of twenty-six year old wife and mother Lisa Smalley, her twin, Audra Roper, begins having dark and disturbing visions of Lisa’s disappearance. Trying to survive while looking for Lisa, Audra’s life becomes a roller coaster of risks, heartbreak, and intrigue. Even as a child, Barb Marie saw dead people. This took an unhealthy toil on her throughout her childhood and young adulthood. When twenty-nine year old Ginger discovers the old mansion Summer Wind, she is mysteriously drawn to it. . Immediately, the haunting’s have a negative and profound effect on the family. For the young psychic Cassandra Lopez, coming to the infamous and haunted mansion Lake Manor, was more like a mission. 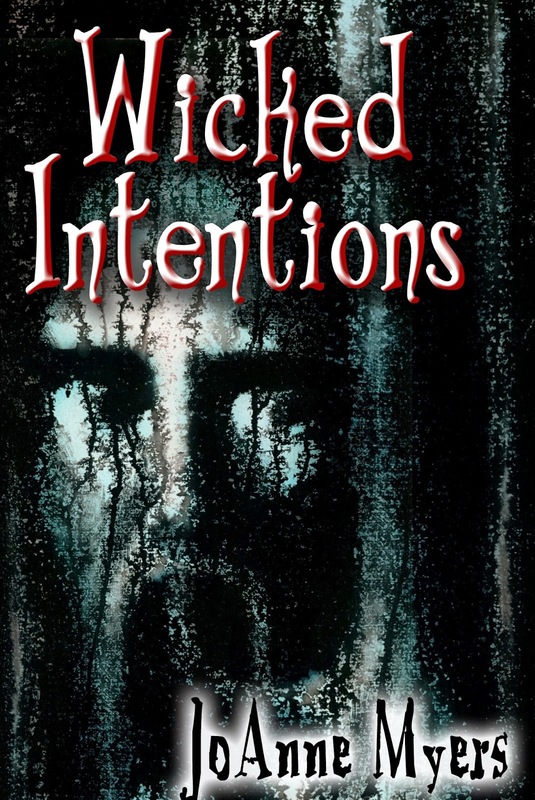 When young newlyweds Bill and Gayle move into their new apartment, their lives are plagued with sightings of evil ghosts that threaten their marriage and lives. Today we welcome back for an interview contemporary romance and romantic suspense author Reggi Allder who likes nothing better than tales of heroes and heroines who discover love and then wonder if they'll live long enough to enjoy it. Her main characters cope with longings, secrets, lies and betrayals. They control their panic and manage their passion as each fights to discover a hidden strength. It's a strain for them to remain motivated as the world offers temptations and puts them in untenable situations. Can they survive multiple ordeals and carry on to reach their goals and find a future together? Learn more about Reggi and her books at her website and blog. Writing was something I wanted to do for as long as I can remember. Even as a child I fantasized about writing. My family worried I’d never make a living and suggested I do something practical like nursing or teaching. At UCLA I studied screen writing and creative writing. But later I worked as part of the support staff in a large city hospital. I also worked as a newsletter editor and as an advertising manager. Even though I didn’t know it at the time, my various career moves and life events now help me craft my books. What was the best writing advice given to you? Don’t worry; just write. You can always edit. Though I am lucky enough to have an office in my house, my mind writes anywhere—in bed, in the shower, using the vacuum. I stop and make notes. Yesterday I was driving from the mall with one of my kids. A country song was playing and suddenly I had an idea for the title of my latest book, triggered by the song. With no way to write my idea down, no tablet, etc, my daughter found the only paper in the car, the sales slip from the shopping bag and she wrote my idea on it while I continued to drive. No not always, sometimes I have music. It ranges from classical, to boy bands, to country. It depends what I am writing at the moment. I even have the news on if I’m writing about a current event. The plots and characters are from my imagination. I try not to use real people in any way. On occasion a news event will be in my book such as a reporter returning from Afghanistan as in Money Power and Poison. But no real person or event is followed. As for my own life, I’ve lived in small towns and large cities so I can draw on those experiences. Describe the process for naming your character. Often a name comes to me before I start a book. For males I like strong names like Brick or names that are not overused. For the females, I use names that are easy to remember and ones that fit the ethnicity of the character. I have a file with names and look at it when starting a new book or when looking for a new character’s name. Are the settings real or fictional towns? Both, Money Power and Poison is about a software developer, so it seemed obvious to use the real Silicon Valley. But I set the book in nearby Carmel-by-the-Sea/ Monterey, California, a real and very beautiful place. With my family I kayaked, swam and went sightseeing in Carmel. We enjoyed Point Lobos State Reserve, the Monterey Bay Aquarium and Seventeen Mile Drive, just to mention a few of our favorites. Watching the waves on the beach during one of the visits, I realized the tranquil beauty and perfect beach weather of the area could be a counterpoint to a dark mystery punctuated by imminent danger. 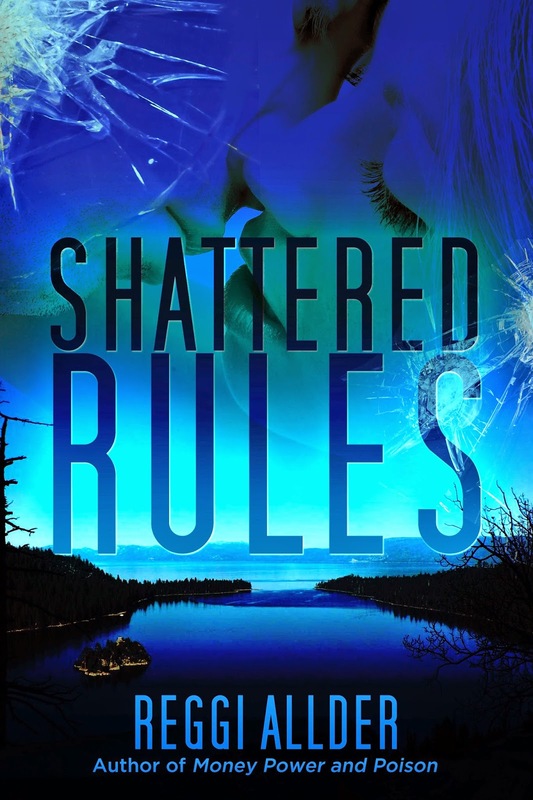 Shattered Rules, also a romantic suspense, takes place in the area around Lake Tahoe. Another great place for winter or summer vacations. In my current contemporary book (working title Her Country Heart) I made up the town of Sierra Creek in the Sierra Nevada foothills of California’s gold country. I was able to give it the population and look I wanted. It also allowed me to fashion town situations that worked with the conflict in the couple’s relationship. This book will be out later this year on Amazon. How do you find titles for your books? Titles are hard for me. Some of my books have had multiple working titles. It is easier to write a ninety-thousand word book than to find a good title. I have a great critique group who come up with ways to help me find titles and that’s helpful, but for some unknown reason it’s still like pulling my own teeth for me. So you can see why, even while driving, getting the title idea written down was so important. Finish the contemporary novel Her Country Heart and then to make Sierra Creek a series of books continuing with the original characters in this book and following the other people in the small town. I also have plans for a series with the characters from Money Power and Poison as they search for answers in the continuing mystery of the heroine’s past. Is it true no good deed goes unpunished? Looking for love Kelly Shaw made a terrible mistake. Now a killer and the FBI are searching for her. But she has a secret to keep. Can she trust Brick Larsen her sister’s ex-fiancé, to help? When she was a teenager she secretly loved Brick and would have put her life in his hands, but that was years ago. Unknown to Kelly, Brick has been assigned to make contact and find out what she knows. A workaholic, he loves his job and doesn’t need personal relationships. And the last thing he wants is to get involved with Kelly. But it’s his job and he lets nothing and no one gets in the way. Soon an FBI agent is dead and Kelly and Brick are on the run. Can they survive when they have shattered the rules? Multi-published author Margo Bond Collins teaches college-level English courses online, though writing fiction is her first love. 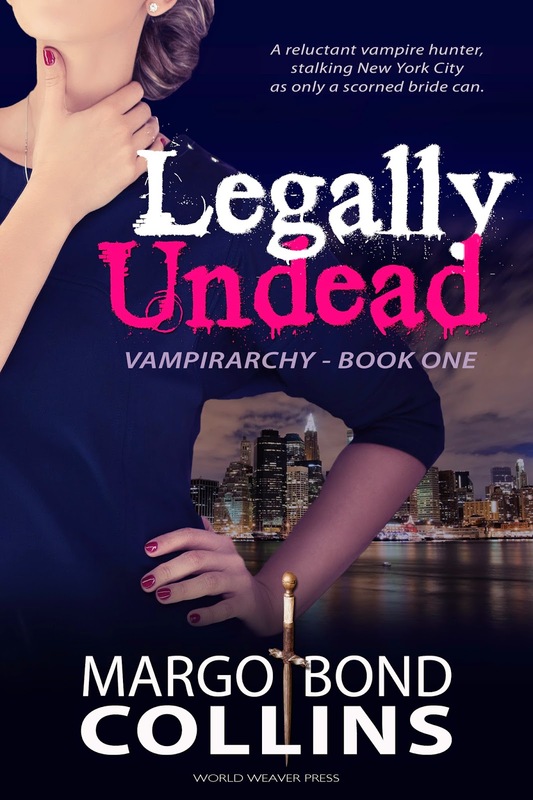 She enjoys reading urban fantasy and paranormal fiction of any genre and spends most of her free time daydreaming about vampires, ghosts, zombies, werewolves, and other monsters. 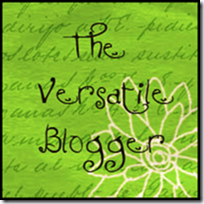 Learn more about Margo and her books at her website and blog. Graduate courses in history don’t prepare one for running away from a vampire. I couldn’t remember the last time I’d been to the gym. “Out of shape” was an understatement. He caught up with me easily, just as I reached the corner of the nearest building. I felt his hand brush the back of my neck, felt his fingernails--claws? something sharp--dig into the top of my back. With a final burst of speed I didn’t know I had in me, I rounded the corner into a pool of light. And ran smack into a man walking out the door. I think “bowled him over” might be an accurate description. He’d been carrying a stack of books, and they went flying everywhere as he and I went down. I think I skidded across him and rolled to a stop--I know I ended up flat on my back on the concrete apron in front of the door, staring up at the sky, just in time to see Greg do some complicated flip over me. 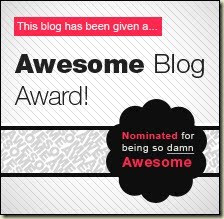 I turned over, ready to spring out of bed, and instead rolled up into a groaning ball. I hurt all over. Every single muscle. My arms felt like they’d been pulled halfway out of their sockets. My neck was stiff, my calves felt like they were contracting up into my stomach somewhere. The sheets scraped against my battered knees like sandpaper. From now on, I vowed, I was going to hit the gym every single day. If I was really going to continue to live, I needed to be able to get away from vampires that attacked me, and that meant being able to move. Quickly. And reliably. If I couldn’t trust my body not to go into the fetal position when I tried to move it, I wouldn’t survive long. Although she doesn’t keep her vow to go to the gym every single day, she does manage to survive—even if she has to keep running longer than she ever anticipated! So what do other exercise-phobes do to overcome a reluctance to hit the gym (or the track)?